WASHINGTON — The U.S. Federal Communications Commission voted Nov. 15 to approve four proposed satellite constellations, authorizing nearly 8,000 small telecom satellites to serve U.S. entities from low Earth orbit. The new regulatory approvals set the stage for two companies, SpaceX of Hawthorne, California, and Telesat of Ottawa, Canada, to expand constellations already approved last year with more satellites in the rarely used V-band spectrum. Canadian startup Kepler Communications and LeoSat, a company licensed from the Netherlands, also received approvals, Kepler for 140 Ku-band satellites and LeoSat for 78 Ka-band satellites. Of the four, SpaceX is by far the largest with 7,518 satellites constituting what it calls a “very low Earth orbit,” or VLEO constellation that would operate slightly below 350-kilometers. At that altitude, SpaceX says atmospheric drag would pull spent satellites down in one month, assuaging concerns about the magnitude of debris that that many satellites could create in higher orbits. While the constellations approved are only proposed, three of the four companies whose plans advanced Nov. 15 already have demonstration satellites in orbit. SpaceX launched two prototype satellites in February, one month before the company gained FCC approval for its initial constellation of 4,425 satellites in Ku- and Ka-band frequencies. The company is building its satellites in-house. Telesat has one of two prototypes in orbit after an Indian PSLV launch in January (the first was destroyed in a November 2017 Soyuz rocket failure), and received FCC approval for a 117-satellite Ka-band constellation last year. This summer Telesat awarded study contracts to Airbus Defence and Space and a team comprised of Maxar Technologies and Thales Alenia Space to evaluate how to build its constellation. Telesat has not specified how many satellites the winning team will build when it downselects next year. Kepler has one prototype in orbit from a Chinese Long March 11 launch in January, a second planned for launch in November on an Indian PSLV, and a third under construction. The prototypes test communications between space and Earth for Internet of Things connectivity, though Kepler also plans to connect other satellites in space through the use of intersatellite links on its operational spacecraft. LeoSat intended to launch two prototype satellites next year, but scrapped those plans to save costs, choosing instead to do tech validation on the ground with Thales Alenia Space and investor Sky Perfect Jsat of Japan. 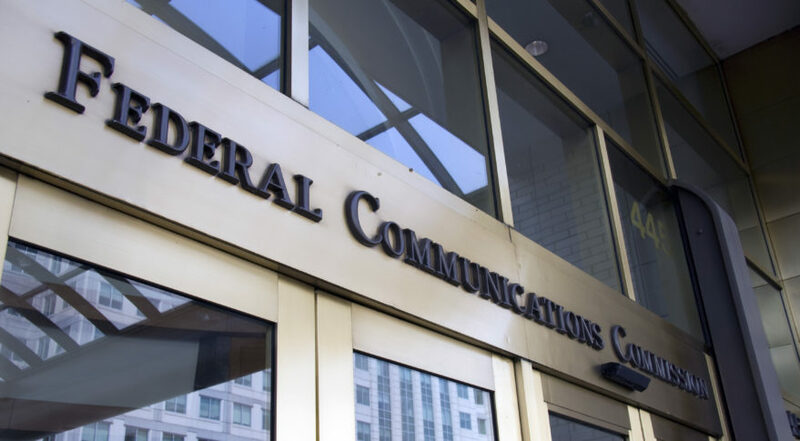 The FCC’s approval triggers a regulatory deadline whereby the companies must place at least half their constellations in orbit within six years, and the full systems in nine. At the end of nine years, the FCC freezes approval at the number of satellites in use. SpaceX, Telesat and Kepler all asked for leniency with the six-year rule, but were rebuffed by the FCC. FCC Commissioner Jessica Rosenworcel said the constellations that advanced today are evidence of a major shift in space activities, since the number of approved satellites nearly equals the 8,126 objects that have been launched into space since Sputnik in 1957. FCC Commissioner Brendan Carr cautioned that how successful the new constellations will be is not up to the FCC. Commissioners Rosenworcel and Michael O’Rielly cautioned that more work remains to be done on orbital debris concerns given the large number of satellites planned to launch within the next decade, but said approving the four constellations was important to do now regardless. “While there are still issues to be explored, including communications with [Earth stations in motion] and orbital debris, and policy calls that we may not have gotten quite right, such as how we handle in-line interference, the commission continues to take necessary steps to allow investment and future deployment of these ambitious projects,” O’Rielly said.